AVAILABLE FOR 3 REMAINING WEEKS THIS SPRING! ONLY 4 SUMMER 2019 WEEKS REMAIN! IF INTERESTED IN MORE DETAILS SEND A MESSAGE OR PLEASE CALL USING THE # DIRECTLY BELOW. LOOK FOR "TRACK OF THE MOON INDIAN PASS" ON YOUTUBE FOR MORE INFO. $250 BEACH GEAR CREDIT AVAILABLE AT NO ADDITIONAL CHARGE! GET THE GEAR YOU WANT FOR YOUR BEACH VACATION DELIVERED RIGHT TO YOUR DOOR! Renovations are complete for our guests! Freshly painted interior, wood floors throughout, new screened in porch, new boardwalk directly to the beach, new fish cleaning station, new stairways and landings for all deck areas! Outdoor shower. CHECK OUR CALENDAR FOR AVAILABLE DATES, IT IS UPDATED REGULARLY. Wake up at the beach on Indian Pass, where there are no high rises, no traffic, no worries, just wind, sand and surf. Enjoy your stay in this quaint community that is centrally located between Port St. Joe and historic Apalachicola. You will be less than a mile down the beach from St. Vincent’s Island, a 15,000 acre National Wildlife Refuge that is great for nature lovers. Spend some time there and you may just catch a glimpse of the American Bald Eagles that nest there. It is also just a short drive to St. Joseph Peninsula State Park. This is the Florida you’ve been looking for. This beach front home is beautifully decorated with a split floor plan and screened porch overlooking the waves. The decks off of two of the bedrooms have gulf-front views. The personal boardwalk from the home takes you to the beach for swimming, shelling, surf fishing and great beach walks. You won’t find a better view. Features include a fully equipped kitchen with newer appliances, central heat & air, ceiling fans, washer & dryer, dishwasher, cable TV, phone, bamboo wood floors, outside shower, covered parking, wireless internet and gas grill, all less than one mile from the boat ramp. We have been married for 25 years and have four children. Two daughters, 31 and 17 and two sons, twin 14 year olds. We live in New Orleans, Louisiana. We began going to Indian Pass in 2001. It soon became one of our favorite places to go to get away from the hectic pace of our daily lives in New Orleans. As we had children and began taking them to Indian Pass we realized that it was something that we wanted to become a tradition for our family and a place for us to eventually have a retirement home. The best thing about any house at the beach is the proximity and access to the beach. Ours is second to none. Indian Pass is probably the most laid back of all of the beaches in the 'Forgotten Coast' area and we have a boardwalk right to it. This is particularly ideal for children since you do not have to deal with walking to the public crossovers. You leave your stuff on the beach all day and just leave it at the end of the boardwalk until the next day. Located beachfront on the Gulf of Mexico! Generous Parking including covered parking for 2-3 vehicles/boats. Available using $250 beach gear credit! Private boardwalk to the beach, hot and cold water outdoor shower, screened porch overlooking the beach, fish cleaning station, wood floors, less than a mile to public boat launch. Great time with the real Florida! This is one of the most private spots I have ever been in Florida. The house was well accommodating for all of our needs. It was well stocked in the kitchen and this led to us "dining in" most nights. The private walk to the beach was also nice. We done a lot of fishing and relaxing on the beach. I do wish however some of the trees and bushes would have been trimmed/removed. Overall this is a great place to take your family if you are looking to connect with the real forgotten coast. Thanks Jason, I am glad you enjoyed your time! Great House in a Peaceful Location! The house was exactly as described on the website. While a previous reviewer had concerns about additional costs, we did not encounter any changes in costs from our original agreement. The owners were always available by email and responded promptly. The house was well designed--plenty of screen options so that doors could be left open to the breeze. The beach was beautiful and not at all crowded, the water was ideal and the vegetation around the house added more interest than you usually see with beachfront property. We were vacationing with our adult children and opted to 'cook in' each night. The kitchen was adequately stocked to meet our needs. The grocery stores in Apalachicola and Port St Joe are about a 20 minute drive but that was well worth it to maintain the undeveloped serenity of the actual vacation spot. Thanks so much for opening your home, we had a wonderful time and hope to return! We rented this place for a week. It was all we hoped for and more. The house was spacious and well laid-out. THe screened-in porch was perfect for rainy days, and the rest of the porch wonderful to gaze at the beautiful night sky with all its stars. The boardwalk made it easy to traverse the vegetation and still be able to admire the flowers and butterflies as we headed to the beach. The sand there was so soft and never too hot -- perfect for buildling sandcastles, just relaxing or strolling along the water's edge looking for sanddollars and shells. We loved the waves on windy days and found that the shore on the spit dropped off very gradually so that we could venture out quite a distance with our grandchildren on calmer days. We saw people fishing right from the shore, although the beach in front of our rental place was mostly deserted except for us. In spite of some rainy days, we had some gorgeous sunrises and sunsets. Lots of shore birds; I especially liked the brown pelicans. The rolling canonball jellyfish were interesting to watch when we found out they posed absolutely no danger. We even spotted dolphins and rays! A most wonderful spot. I hope the area does not get more developed. This is what I always dreamed the REAL Florida was like. We enjoyed our stay overall at Track of the Moon. I was frustrated w/ the elevated hidden costs - over $300 to the rental company. We've stayed at TyBee Island & St George in the past for half that amount. We were looking forward to swimming but were not expecting so many ocean creatures so close (ankle deep water) to shore. We saw Hammerhead sharks and other large fish and LOTS of sting rays, right where we wanted to swim. The last few days the sand bar close to the house was littered w/ cannonball jelly fish. My daughter counted 40! Thankfully that was just our final two days. We expect some ocean life to be in the water - certainly! But personally we weren't comfortable w/ the sharks & sting rays! Many folks were fishing - I don't know if that made an effect... the house was nice. Not a lot of sitting room in the living room - just the couch. And watch out for the nails poking out of the porch! they are rusty and cut easily. Amy, thanks for your review and 4 out of 5 stars. I am happy that you had a mostly great experience. To eliminate any possible confusion for our future guests please be aware that the prices quoted and the prices posted are always the price paid. When you receive the bill from my agent there is a breakdown of charges for things like cleaning the home after departure and linen usage. But rest assured, it is never in addition to the price you get from VRBO or me as the homeowner. And the benefit of having an agent locally can’t be overstated. If you ever have any issues or need advice about the area they are always available to help. It is true that the area is brimming with wildlife of all kinds. This includes sea life. I am happy that the jellyfish were only present for two days. When they do appear it is generally for a short time and then they are gone. The good thing about the Cannonball Jellyfish is they do not sting if you bump into one. They are really amazing and beautiful creatures. This is the first I have ever heard of a hammerhead on our beach, but I am sure it will not be the last; it is the beach after all. Finally, one of the benefits to staying at our home is that it sits right on the beach. However it requires a boardwalk to get over the dunes to the water. This boardwalk, while very convenient, is the highest maintenance item we have. The constant exposure to the salt air and sea spray requires that it be maintained constantly because of expansion and contraction of the wood. This is why many area homes do not have a boardwalk and require use of the public crossovers. We do our best to maintain it and keep it safe and will continue to do so. We will even request additional attention based on this concern. When there with our family we always wear flip flops and just leave them at the end of the boardwalk when we step off into the sand. Just the smallest amount of caution should prevent any mishaps. This was our first trip to Track of the Moon and it was fantastic! Unfortunately it did rain quite often at the beginning of our stay but that did not keep us from enjoying our time. We spent our days fishing off the beach, scalloping in the bay and looking for seashells and sand dollars on the sand bar. There was no shortage of beautiful huge shells and sand dollars of all sizes! Our children are 11, 5 and 2 and they had a blast all week. The kitchen was well stocked with all the essentials you could need. We loved that we could park under the house. Another plus was the boardwalk directly from the house to the beach. We even left our Canopy up with our sand toys and chairs on the beach all week. It was great not having to haul all of that back and forth to the house. The rental office sent someone over to replace the glass in the sliding doors and fix a sticky door lock and he was super friendly. The house was very clean compared to others we have rented in the area before. I would most definitely recommend this property to friends and family. Overall, we really had a great time and Larry, the owner, was a very gracious host and allowed us to stay an extra day. I really hated to leave that beautiful beach paradise and I sincerely hope to get to return next summer! Thanks for the kind comments. I am glad you had a great time! Thanks for being patient with the glass installer on the replacement glass. At least now the fogged glass on the sliding door is history. Let us know if we can help you in the future. trying to identify the wild flowers along the way. 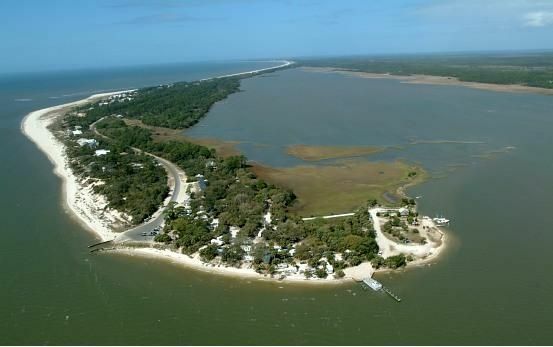 This is a fishermans paradise,located between the Indian Pass lagoon and the Gulf of Mexico; crabbing, seasonal scalloping, bird watching, check out St. Vincent National Wildlife Refuge, a mile away, and you may catch a glimpse of the resident American Bald Eagles! Monthly rates are available September thru March. Only weekly reservations are accepted during spring and summer. No additional nights except full weeks are accepted during that time. All weekly rentals begin and end on Saturdays. All weekly and nightly rates include fees for linens, cleaning, etc. Monthly rates do not include these fees. Damage deposit (or damage waiver fee) is required after booking. Rates are subject to change until confirmation of reservation by owner.